Go to Kroger.com, and sign in to your account as usual. 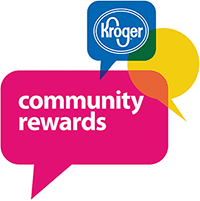 If you already have a Kroger card, go to the bottom of the page and find the Community Rewards section.Type in (or search after you type a couple of words), Down Syndrome Association of Northeast Indiana. After you select DSANI, a portion of your purchase will be given back to DSANI quarterly. Amazon Smile will donate 0.5% of designated purchases back to DSANI! If you shop on Amazon.com, this is a great way to give back to DSANI! Thank you for your continued support of DSANI and thank you to Kroger and AmazonSmile.com for their support of charitable organizations! Newer PostDSANI Releases first Newsletter in 2017!